Looking for a pair of 1 carat diamond studs? At Shira Diamonds in Dallas, Texas we carry loose round diamonds and can match you a perfect pair of round diamond studs. Our round diamonds are certified with GIA certificates. If you have any questions about this round diamond stud pair please call or text 214-336-8629. Wholesale diamond studs in Dallas, Texas with Shira Diamonds. This pair of princess cut diamond studs weighs in at 2.10ct and had J Color and VS2 Clarity. The best thing about these diamond studs is that they are certified by GIA. If you would like to view our loose princess cut diamonds and make a pair by hand picking princess cut diamonds give us a call or text at 214-336-8629. Looking for a pair of asscher cut diamond studs in Dallas, Texas? This pair is a 1 carat total weight (ctw) The Color of this pair of asscher cut diamond studs are E and the clarity of VS1. If you would like to view our diamond studs please give us a call or text at 214-336-8629. We are one of the largest diamond dealers in Texas. The price of these diamond studs are $3200.00 We are located in Dallas, Texas near Preston and Frankford Rd. Unique diamonds and exclusive collections of diamonds have always attracted the diamond lovers of the world. There is no better way to explain this fascination than terming it as an addiction for diamonds and more of it. Jewelers around the world have employed innovations in creating some of the most beautifully carved diamond rings with the transparent gemstones. However, the popularity of the myriad colors of diamond has been there for a long time. Hence, the jewelry designers have been creating some of most astonishingly beautiful diamond rings in wide array of colors of the colored spectrum. The canary diamond ring has gained immense fame once the Hollywood celebs started sporting this piece of extravagant and brightly colored piece of jewelry. In the recent past, we have seen Paris Hilton portraying one of the largest yellow rocks on her dainty fingers. And as expected, the demand for yellow diamond band has skyrocketed among the young fashionistas. The colors of diamonds in the spectrum of yellow are also varied. There are darker shades of yellow that include brown and red in them. On the other hand, there is the lightest and brightest color of canary that surely attracts eyeballs from every corner as the sunshine color. If you are planning to serenade yourself with one of these extravagant yellow diamond bands, this is an excellent time to do so. 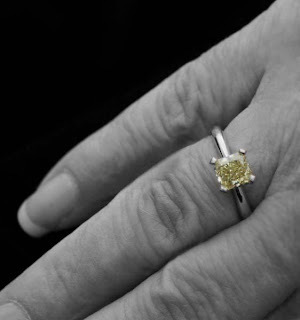 If you always regarded yourself as one of the most uncommonly dressed and bejeweled individual, it is time that you add yellow diamond rings to your collection. The color yellow will set you apart from the scores of diamond carrying contenders as this color exudes originality and class without compromising on the style quotient. If you are getting engaged and planning to surprise your loved one with a sweet surprise, it will be an excellent idea to sweep her off her feet by proposing her with a yellow diamond ring. The yellow rings are more than just an engagement ring as the color stands for lifelong love, exuberance, and sunshine. 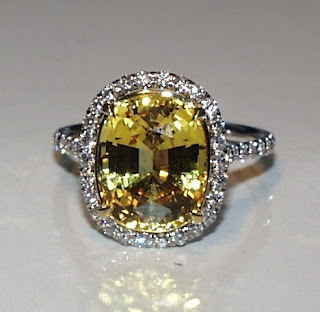 Some of these canary diamonds come in extremely bright colors and they are very sweetly called lemon-drop stones. These diamonds can be beautifully designed and presented in innumerable ways. If you are designing one for your beloved, let your imagination run wild. You can order your reputed jeweler to customize a ring to suit your requirements or else you can simply build one from the scratch keeping in mind the preferences of loved one. From their price to their size, not just the legendary Koh-i-Noor, all these diamonds will blind you with their beauty! 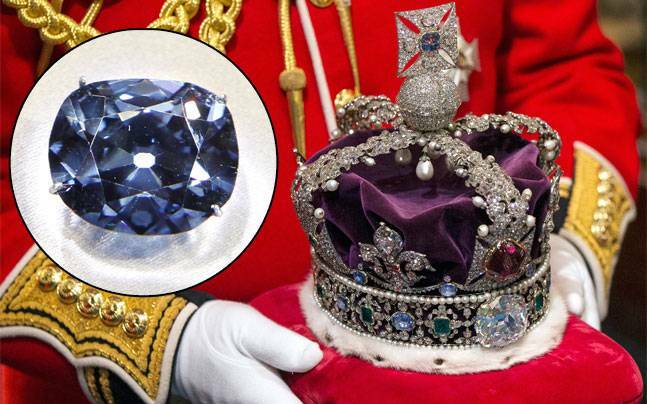 With four countries including India laying the claim on the Koh-i-Noor, considered to be the most expensive diamond in the world, the stone's changed hands time and again before ending up in Britain. While the diamond belonged to the Mughals who ruled the Indian subcontinent, it was snatched by Persian ruler Nadir Shah who invaded the country in the 18th century. 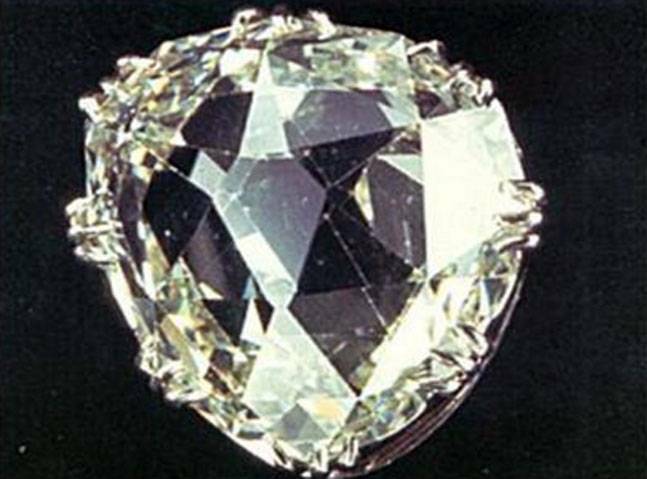 Soon after the diamond came in the possession of Ahmad Shah Durrani, whose descendant Shuja Shah Durrani brought the Koh-i-noor back to India in early 19th century after which the diamond ended up with Maharaja Ranjit Singh--the founder of the Sikh empire. While the ruler had willed the diamond to the Jagannath Temple in Puri, his will wasn't executed by the East India Company. After the Sikhs lost in the Second Anglo-Sikh War, the stone came in the possession of the British empire. Even today, every time the news of any political exchange between India and Britain breaks out, the Indian population nevers fails to point out that their diamond be returned to the country. However it's only after a PIL filed by All India Human Rights & Social Justice Front, regarding the diamond's return to which the country's Solicitor General Ranjit Kumar's replied, "It was given voluntarily by Ranjit Singh to the British as compensation for help in the Sikh Wars. 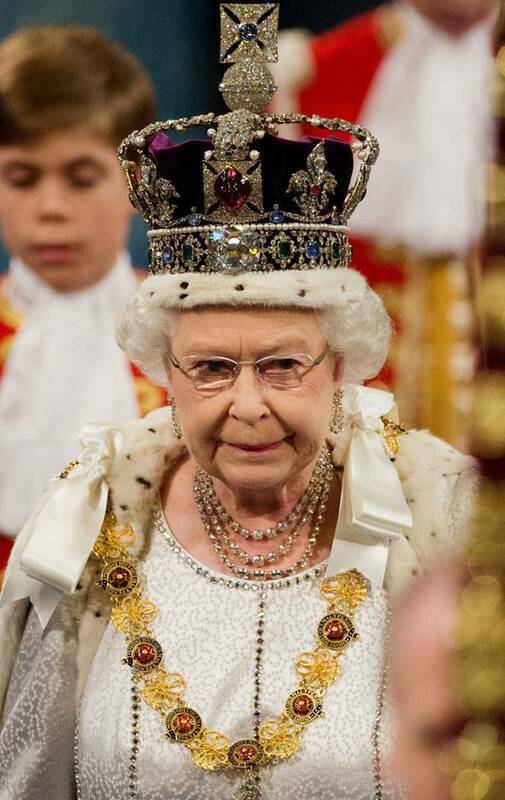 The Koh-i-Noor is not a stolen object," that the subject has gained momentum again. The Koh-i-Noor means the Mountain of Light in Persian and can be seen at the Tower of London, adorning the Queen's crown. 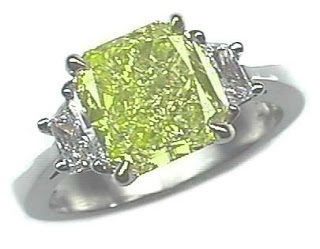 However the 105.60 carat diamond isn't the only known stone in the world. Weighing 55.23 carats, the priceless pale yellow diamond again has Indian origins and is considered to be one of the first large diamonds to be cut with symmetrical facets. The diamond is on display at the Apollo Gallery at the Louvre. Valued at USD 400 million or Rs 26,62,13,80,000, the Cullinan Diamond weighs 3,106,75 carats and is famous for being the largest gem-quality diamond found in the world. 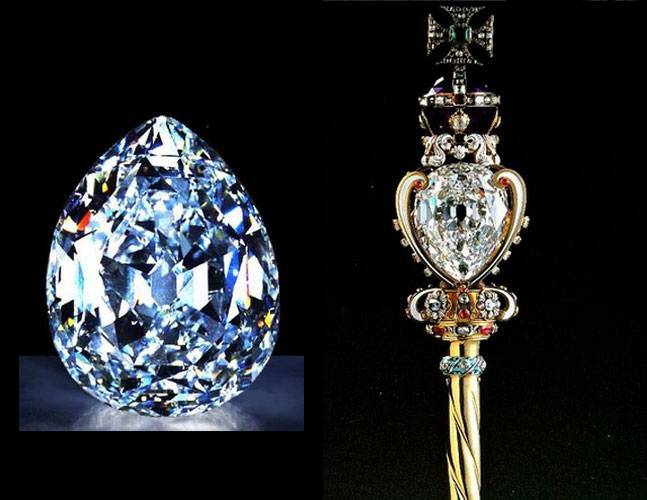 It was cut into nine diamonds, of which the Cullinan I and Cullinan II are most famous and can be viewed at the Tower of London as they adorn the Sovereign's Scepter with Cross and the Imperial State Crown. 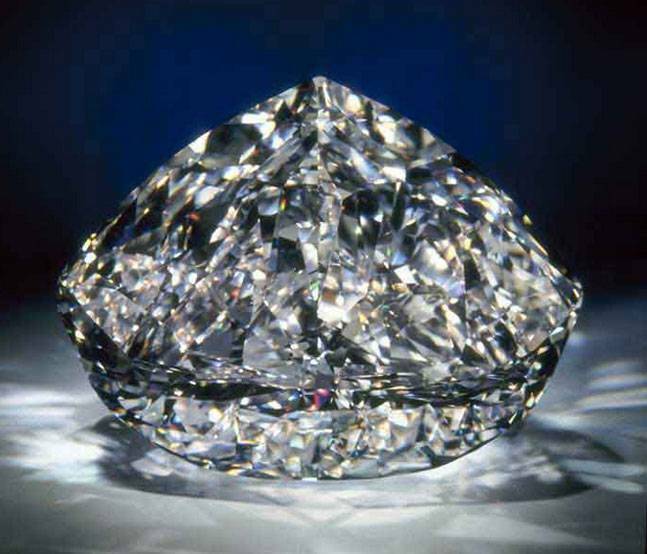 Believed to have originated in India, the diamond weighs 45.52 carats and is on display at the National Natural History Museum in Washington, D.C. 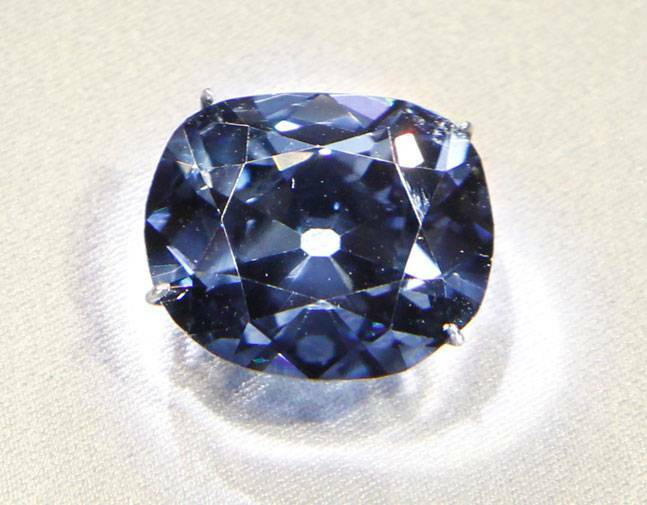 The legendary diamond is famous for its deep-blue colour and gives a red glow after being exposed to ultraviolet light. It's currently valued at USD 350 million or Rs 23,28,95,07,500 and has also made a name for itself as a cursed stone that brings bad luck or death to its owners. Valued at USD 100 million or Rs 6,65,40,45,000, the De Beers Centenary Diamond is among the most beautiful diamonds in the world to have received grade D rating by the Gemological Institute of America for being internally and externally flawless and for belonging to the highest grade of colourless diamonds. The sparkler has been cut into a heart shape without a groove. The only place in Dallas, Texas to buy your diamond studs in 2016! friction back or clutch. A stud earring features a gemstone or other ornament mounted on a narrow post that passes through a piercing in your ear or earlobe and is held in place by a fixture on the other side. Studs most commonly come in the form of solitaire diamonds. Occasionally, the stud earring is constructed so that the post is threaded, allowing a screw back to securely hold the earring in place. This is useful in preventing the loss of expensive earrings containing precious stones, or made of precious metals. Diamond stud earrings are like punctuation marks for your wardrobe. A gorgeous pair of diamond earrings add that finishing touch. Who can resist the classic look of diamond stud earrings? Prefer something a little more adventurous? You can't go wrong with the latest dangle earrings or fashion hoops. Diamond earrings are a timeless classic that add brilliance to any outfit. Though diamond earrings are often the first choice for a night out, many styles are suitable for the office and casual outings. No matter what the occasion, diamond earrings look and feel amazing! Acrostic Jewelry: Create a Secret Message in your Jewelry and hide a Message! 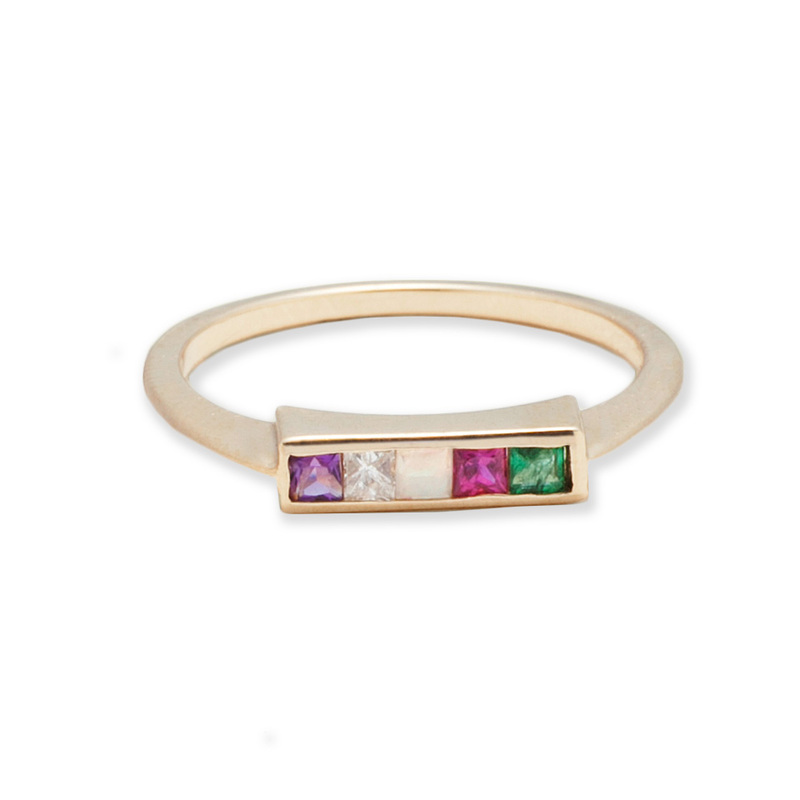 Want to send a secret message to your beloved using gemstones? Then you'll need to know about acrostic jewelry. Acrostic jewelry is the spelling of a word by using the first letter of each gemstone. So an acrostic piece spelling the word "REGARD" looks like this. 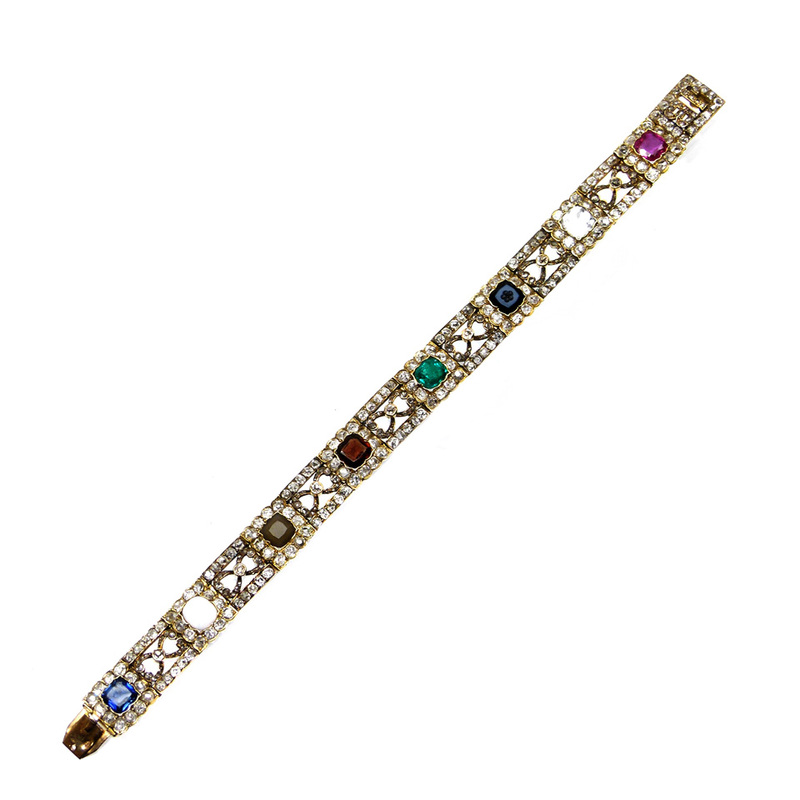 This Victorian-era bracelet spells "REGARD" with gems: ruby, emerald, garnet, amethyst, ruby, diamond. Photo courtesy of 1stdibsJean-Baptiste Mellerio (1765-1850), jewelry designer to Marie Antoinette and the French court, is credited with inventing acrostic jewelry. 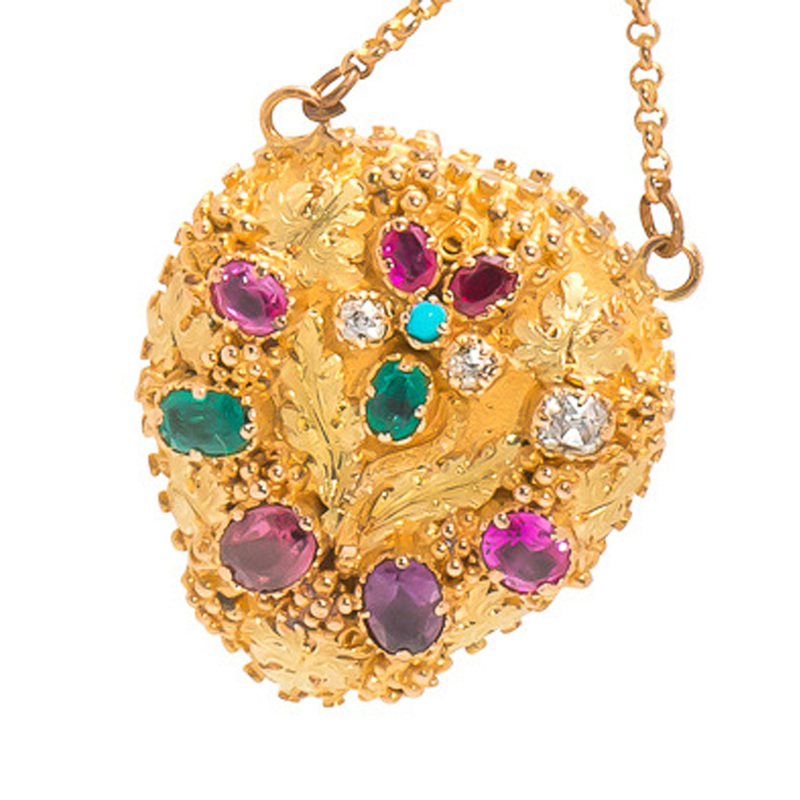 Poetically called the "language of gemstones," acrostic jewelry reportedly enchanted Napoleon Bonaparte, who commissioned several pieces for family members. 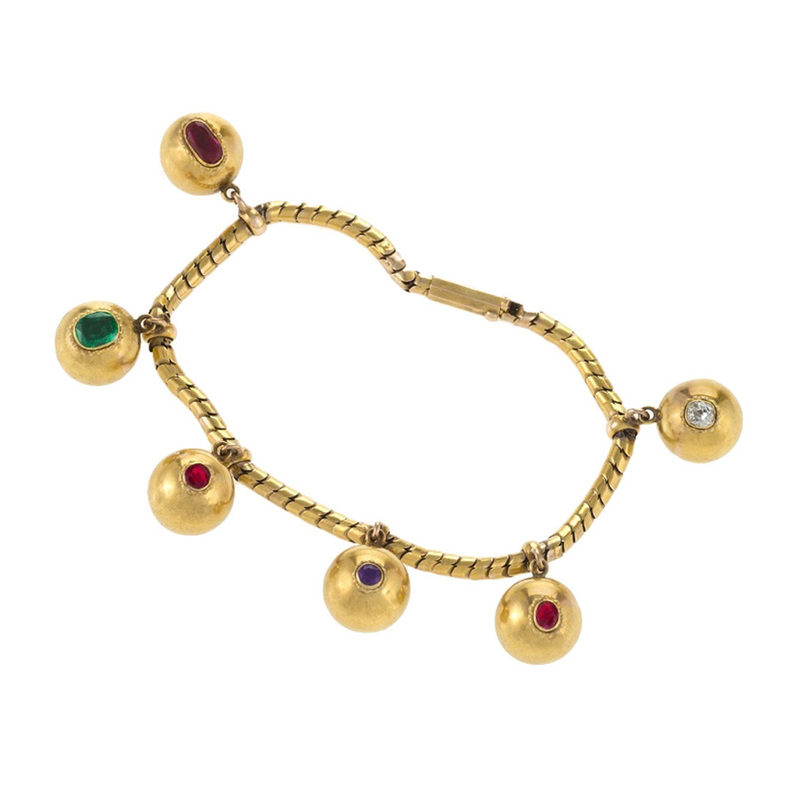 In this antique French acrostic bracelet (circa 1860), the gems spell "SOUVENIR" which, in French, means remember or memory. Acrostic jewelry gained popularity in Georgian England during the 1820s and 1830s and was in vogue throughout much of the Victorian era (1837-1901). "REGARD" and "DEAREST," two terms of endearment, were favorites given to spouses, family members, and lovers. Gems were also used to spell birthdays and private messages. The outer circle of gems in this ornate antique acrostic locket (circa 1820) is from the British Isles and spells "REGARD." 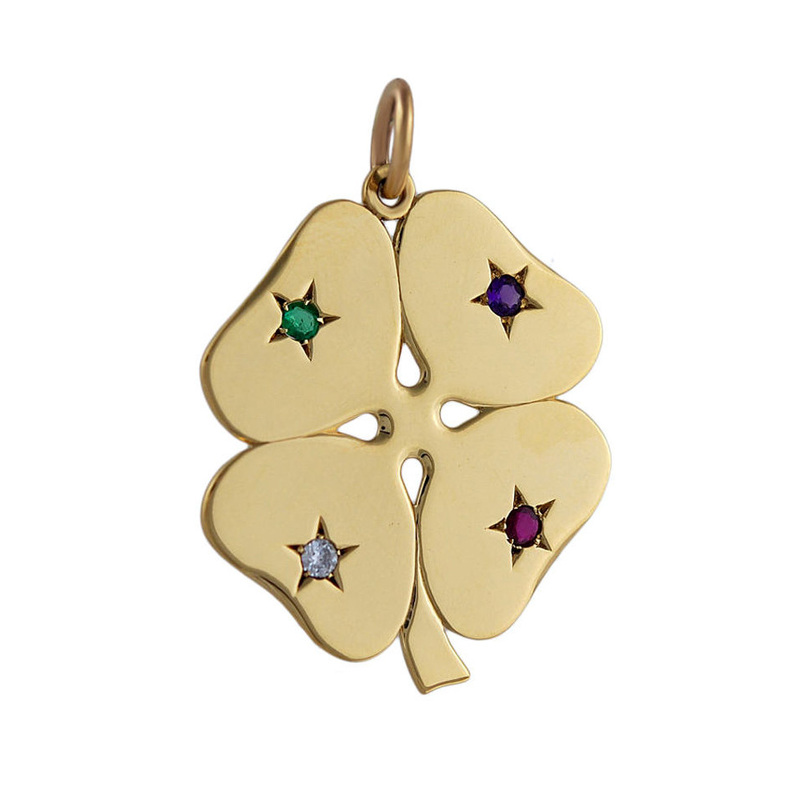 The inner circle takes the shape of a pansy flower meaning "thinking of you" or "you are in my thoughts" (two rubies, two diamonds, emerald and turquoise center stone). Want to create your own piece of acrostic jewelry to give to a loved one? 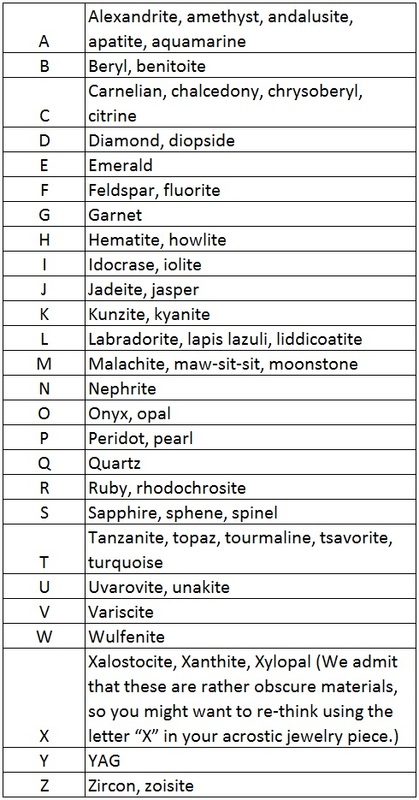 Here's one contemporary version of a gemstone acrostic alphabet.